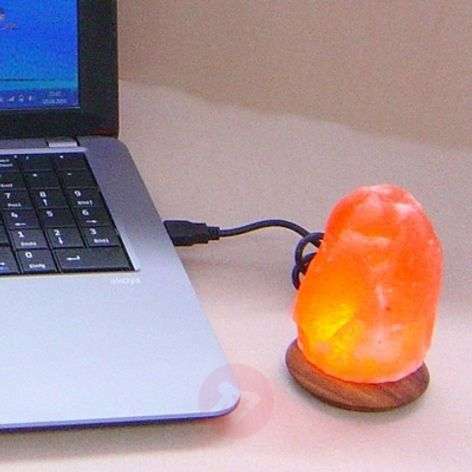 This small COMPUS LED natural stone lamp with crystal salt from Punjab, south of the Himalayas, spreads beautiful light and provides a relaxing feel-good atmosphere as you work on your computer or laptop. The small salt lamp is about 0.5 kg. Since each light is unique, height and diameter may vary. It is equipped with a USB cable, which makes it easy to connect to the computer. It comes with a factory-installed LED light bulb.